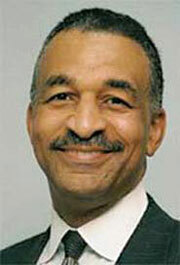 Thomas Boston, noted economist and author of Affirmative Action and Black Entrepreneurship, in which he called for a strategy that would establish and grow Black-owned businesses to the point of having the capacity to employ 20 percent of the Black workforce by the year 2010. Aptly titled, “Twenty by Ten” – A strategy for Black Business and Employment Growth in the Next Century,” Boston’s charge was right on point, especially since he wrote it in 1999. When I read his book, “Twenty by Ten” seemed very doable to me. After all, we had 10 years to make it happen, not to mention the fact that if we implemented his plan, Black folks would be well on our way to a higher level of economic self-sufficiency. What an idea, I thought to myself; I was certain government officials and businesses sectors would jump on that idea and bring it to fruition. Well, it’s been 13 years since Professor Boston called for “Twenty by Ten” and sadly, according to the last economic census, of the 1,197,864 Black firms, only 106,566 were employer firms, and they employed just 909,552 workers. Of course, we know all of those employees are not Black. Thus, we are shamefully behind Boston’s ideal, and according to a recent poll, we are not only behind we are seeking every solution except the one that he put forth in 1999. The poll was commissioned by Robert L. Johnson, founder of BET, multiple business owner, and employer of many. Titled “Black Opinions in the Age of Obama,” and conducted by Zogby Analytics, the poll brought forth some very interesting responses from Black people. The area I will address in this column is Black employment. When asked why they believed the Black unemployment rate was double that of Whites, respondents’ answers included, failure of the education system for minorities/African Americans, lack of corporate commitment to hiring minorities/African Americans, and a lack of good government policies. While the answers are all valid and reasonable, I was struck by the absence of any response that suggested what Thomas Boston called for over a decade ago: More Black businesses hiring more Black people. There was a noticeable lack of onus put “on us” when the subject turned to unemployment and wealth creation/retention. I am not trying to wrap all of our problems into a neat little package called “Twenty by Ten,” but I am attempting to point out a flaw in our thinking and a gap in our own responsibility toward Black economic empowerment. Yes, we have need of solutions to the many problems we face, but many can be resolved if we would follow the perfectly sensible business model of starting and growing more Black businesses to the point of having the capacity to hire more Black people. Yes, the government has a role to play. Yes, the private sector has a role to play. But what is our role? I am so tired of hearing so-called leaders beg for “Jobs! Jobs! Jobs!” from folks who are too busy taking care of their own to worry about us. It drives me crazy that there is no call for “Businesses! Businesses! Businesses!” We must get back to common sense strategies for growth of the Black economy, which means we must produce more, or at least just as much, as we consume. And, we must hire more of our people. Others certainly have an obligation to hire us as well, no doubt. But we cannot keep chanting slogans and begging them without, at the same time, building and growing our own employment base.